Here you can find different sources of downloads for the World of Warcraft Burning Crusade expansion, specifically patch 2.4.3. These clients are pre-installed so all you should need to do is extract them from the zip file and update your realmlist to the server of your choice. Note that there have been many reports lately that Blizzard does file copyright strikes with ISPs for people using torrents to download their older clients. There are a couple of different options to help with this, we recommend using either a cloud based torrent client such as Bitport or a VPN (Proton VPN is a solid choice, they have a decent free tier also). /u/vanillalad over on reddit figured out how to get the native Mac client working. Note that some servers such as Warmane block the native MacOS client. Need to find a place to play? 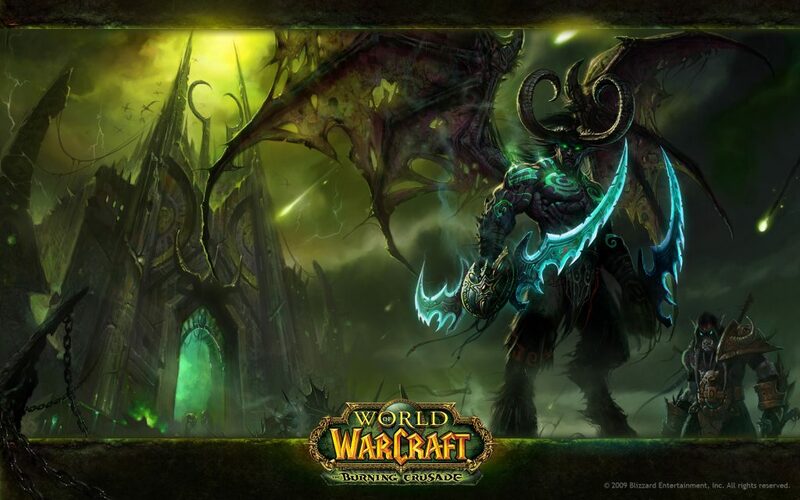 View our list of Burning Crusade Private Servers. hi, i just downloaded the file from google drive link which is a 8.2G .exe and i changed the properties to .zip then extracted it using winrar and after all the outcome were 2 more .7z files + a SetupWoW243.exe and they all require a password to proceed, so what is the password and am i doing it right?! Glad to hear it, happy gaming! what is the password dude? Try “VengeanceWoW” as the password. Which download are you referencing? Also, even if they are split into multiple archives they usually all extract together, use a program like 7zip. How to download for Mac? i need clasic wow installed? No, these are preinstalled 2.4.3 clients. Other than adjusting the realmlist.wtf file you shouldn’t need to do anything else to play. When i press launch i get this error: failed to open archive common MPQ. How can i fix it? Which download were you using? hmm, okay we’ll have to retest that download. Try using the one of the other direct downloads for now. it works fine – you just need to use actual installer and not unpack file by winrar. You need to create a folder “cache” inside your wow install directory. We have some steps you can take if you have the problem with the realmlist on this post under the “Update the Realmlist.wtf” section. I have downloaded the Mac App client deal and shoved it in the windows download pack that I have and it is not working, screen goes black and I get the little WoW mouse hand icon and then it goes back to my desktop and errors out. Unsure of what to do, followed directions exactly and replaced the file. I’m playing on a mac and downloaded the tbc client. It worked fine then i upgraded Sierra 10.12 to Mojave 10.14 (latest OS) and it still works. Sadly i began to have some fps/mouse troubles and decided to downgrade again to Sierra (because it ran flawless before). I can still play but the textures are totally screwed. Is there a work-around for this or am I missing some crucial program/addon (because its a total clean mac) to make the textures normal again? i dont have access to the wtf file to change the realmlist i have looked all over for it watched several vids and looked up many aids to try and get it pulled up i need help how do i make it so i can get on to the neatherwing BC server? If that doesn’t work join us on Discord and see if we can help there. hi , i downloaded the Magnet – Client from Atlantiss Netherwing. When i put the World of Warcraft.app into your 2.4.3 TBC folder doesn’t replace the app just paste on the folder and the app folder doesnt open..what can i do ?